The leatherback turtle is one of the most critically endangered species in the world and is on the IUCN red list. They are the largest of the turtle species living in the sea, growing up to 7 feet long. They are also called Lute turtles. 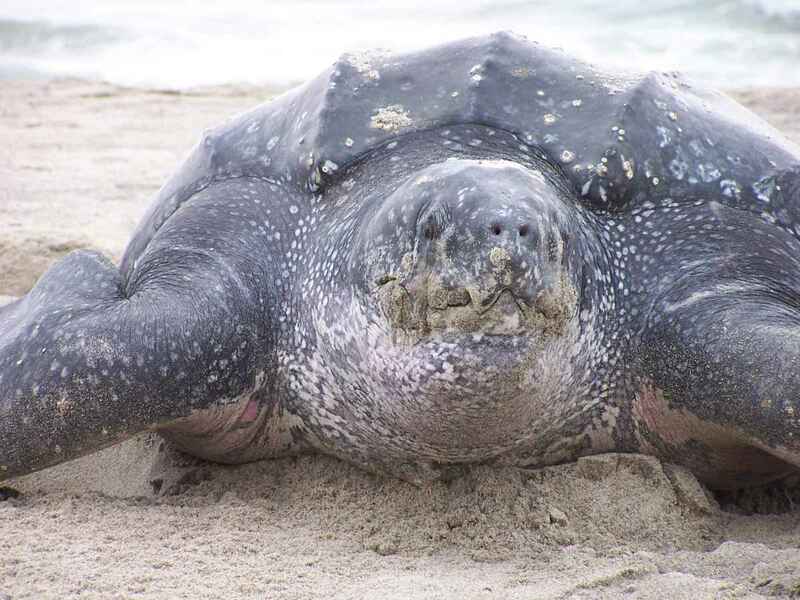 We will be looking at the characteristics and behaviour of the leatherback turtles, their food and habitat, the threats they faced and still face, the reason why they are critically endangered, their reproduction process, some facts about the leatherback turtles and what can be done to help protect and conserve them. These leatherback turtles are found in the Coral triangle, Gulf of California, The Galapagos, Coastal East Africa and Mesoamerican Reef. 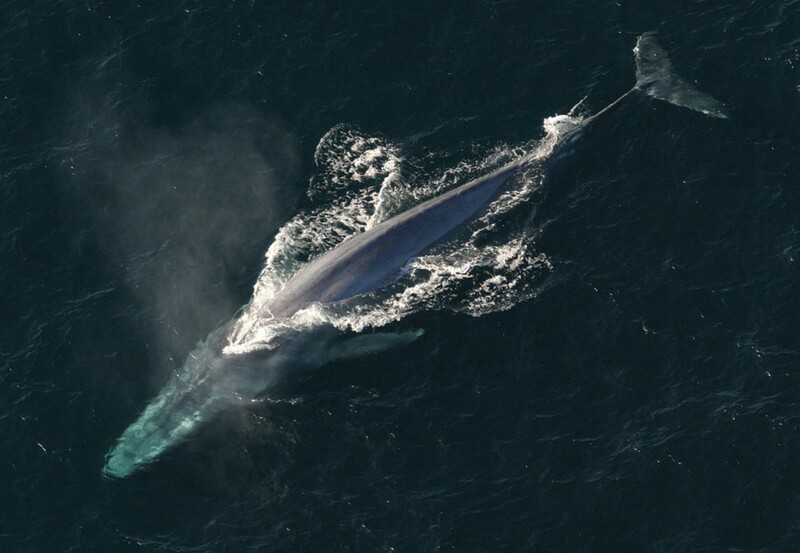 They are found in the tropical, sub-tropical oceans up to the Arctic Circle and are close to extinction in the Pacific Ocean. The shells of these turtles are tough and leather like and not hard like the other turtles, hence the name leatherback turtles. 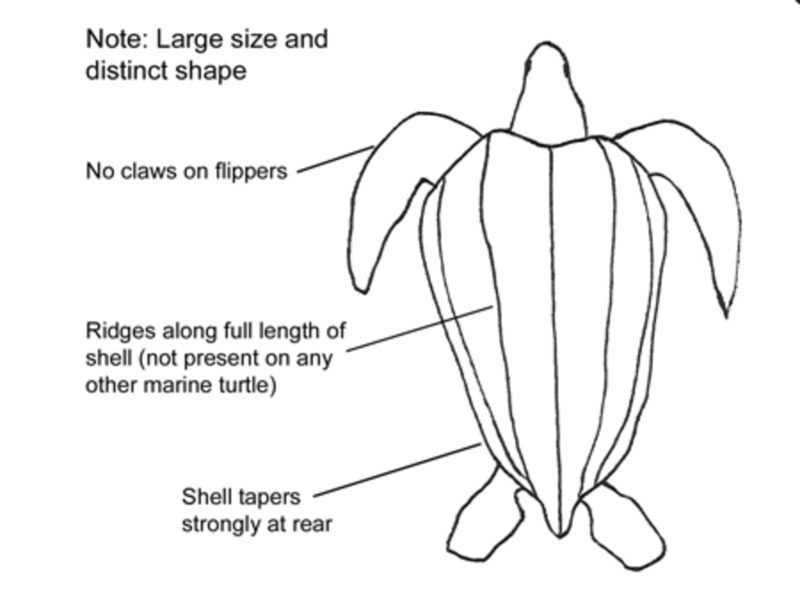 These shells have thousands of small bone plates beneath the thick skin. Their body is shaped like a large teardrop. 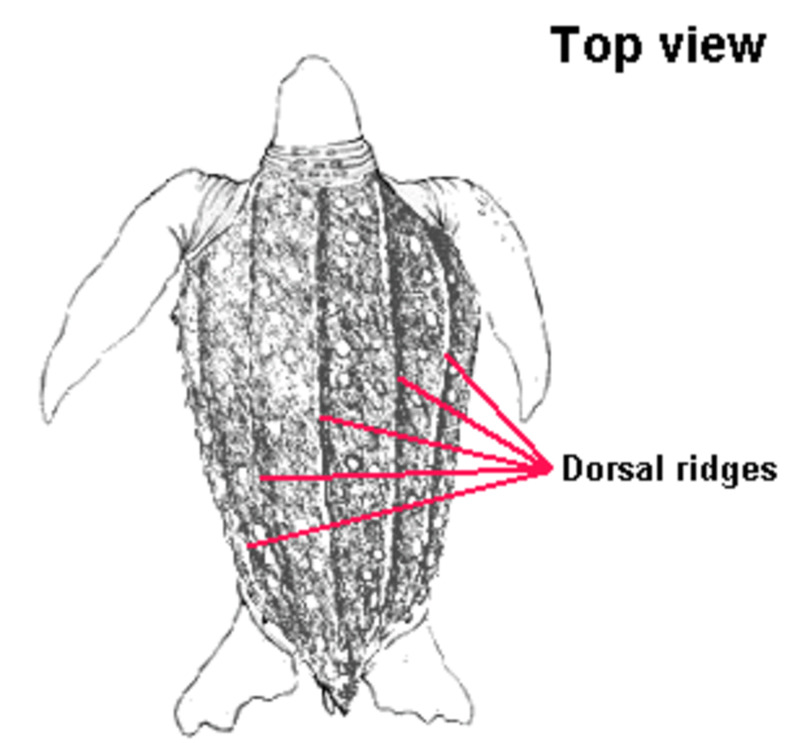 There are seven prominent longitudinal ridges that run from the anterior to posterior margin on the back of the turtle. The streamline shape of their body helps them with swimming easily in the water. The length of the adult leatherback turtles can be 1.83 to 2.2 m with the length of the carapace from 1 to 1.75 m. They weigh from 250 to 900 kg. 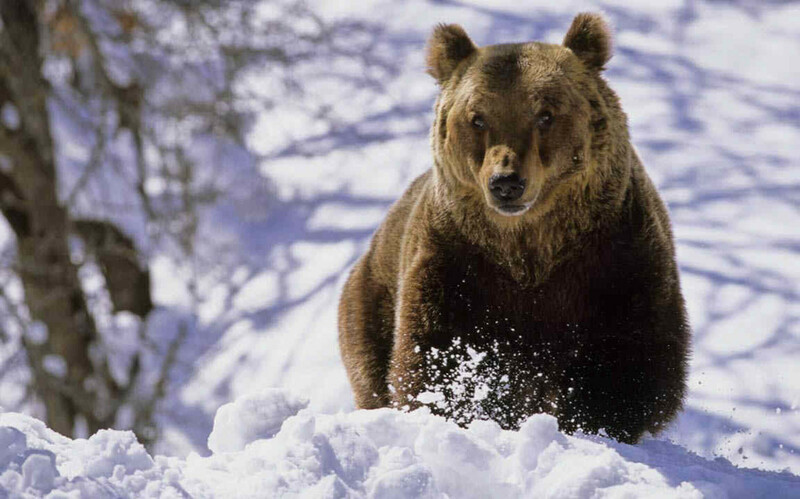 The size and weight varies in different habitat. 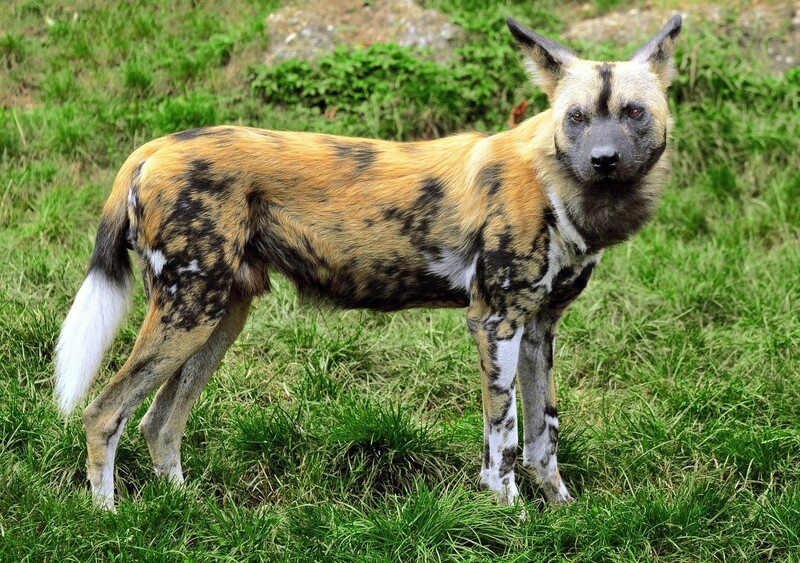 The dorsal (upper) area is dark grey to black colour with white irregular spots and the ventral (lower) area is lightly coloured. They have sharp pointed spikes in their mouth (see picture to the right) with inward pointing spines in their throat, that help with swallowing food and preventing their food like jellyfish from slipping outside. They have a pair of large flat flippers in the front that help them with swimming in water that can grow up to a length of 2.7 m and do not have any claws. They have two small flippers at the back. They maintain high body temperatures through special blood circulation process. They spend very less time resting (0.1% of the day) and hence their constant swimming generates heat from the muscle movements. Also they have counter-current heat exchangers between the front flippers and the body and in the area surrounding the trachea (windpipe). They have lots of fat (a thick layer of fat) in their flesh and all these above features help them with maintaining a high body temperature in colder water. The leatherback turtles are found across the Atlantic and Pacific oceans, some in the Indian Ocean and they are one of the species of turtles that migrate to long distances. They are found in open ocean. 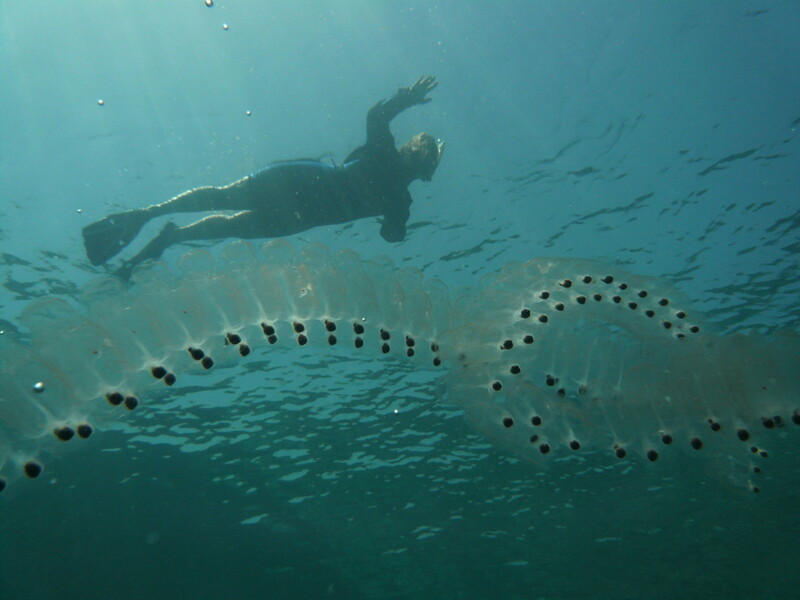 Their main food is the jellyfish and the salps. 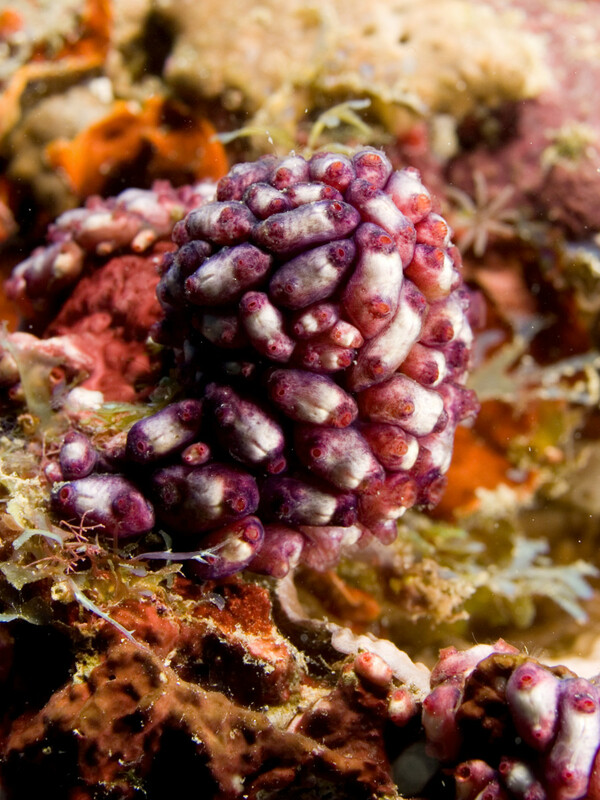 They also feed on tunicates (Primitive marine animals) and cephalopods like sea urchins, fish, algae and sea weeds. They migrate thousands of miles (up to 6,000 miles) from their nesting area to food habitat in search of jellyfish. 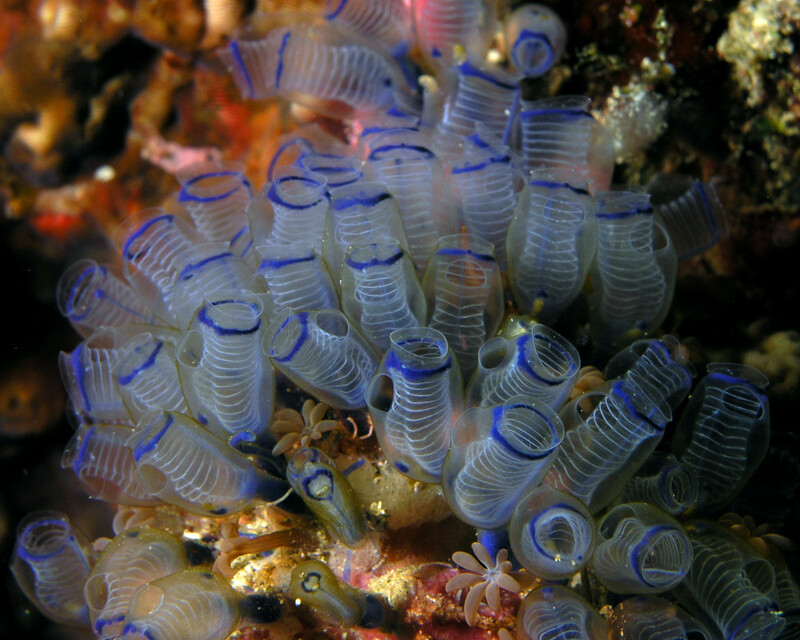 Their feeding area is the colder sea waters where there are plenty of jellyfish. They have been spotted in waters as cold as 0.4o Celsius. They follow their prey the jellyfish all through the day for feeding. 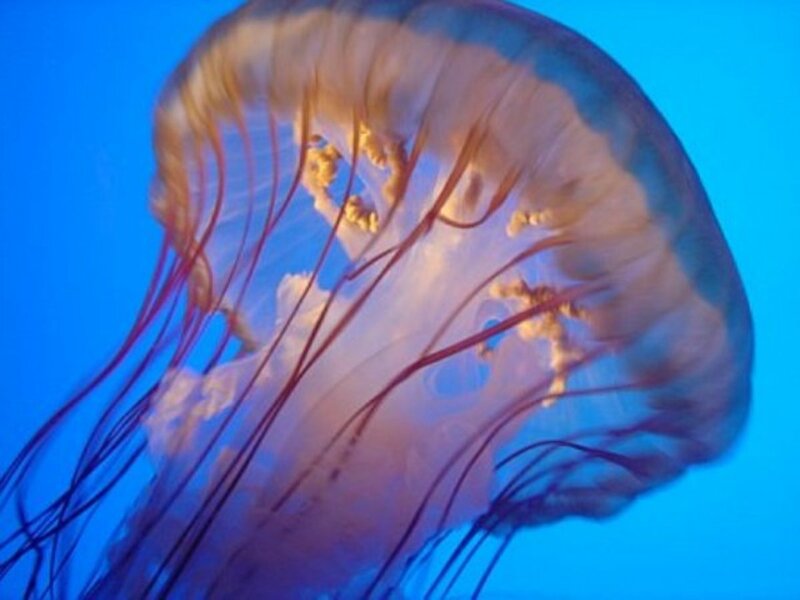 So during the daytime they are found in deep waters and in the night in shallow waters because jellyfish rise up the water in the nights. Female leatherback that are ready for reproduction secrete pheromone to signal the male turtles that they are ready for reproduction. Mating takes place in the ocean. Mating in females takes place every two or three years, but they can breed annually. They do not always return to the same nesting site every season like some other turtle species. They choose beaches with fine sand since they have a soft shell compared to other turtle species. They nest at dark moonless night in dark forest areas close to the beach. They dig a nest with their flippers and lay batches of eggs. Once done, they close the nest with sand and return to the sea. The nesting season differs for different locations. Each clutch size is about 60 to 120 eggs (sometimes up to 200 eggs) and 70 to 85% of the eggs hatch, since there are a few unfertilised eggs in each batch that are laid on top of the fertilised eggs. This could be a way of protecting the fertilised eggs. It takes between 1 to 1.5 hours to complete the egg laying process. There can be as many as 4 to 7 nesting times per breeding season with a maximum of nine batches of eggs and there is an approximate break of eight to twelve days between each nesting event. The eggs may be eaten by predators like crabs, lizards, dogs, mongooses, shore-birds, racoons, etc. The eggs hatch in sixty to seventy days’ time and the temperature of incubation determines the gender of the hatchlings. Hatchlings hatch out of the nesting sites at night and return to the sea. Before entering the sea, they may be eaten by the above predators. In the ocean, they have predators like large fish, shark and some cephalopods. The hatchlings have a carapace length of 5 to 7.5 cm and weigh around 40 to 50 gm. They have pearly scales that disappear as they grow older. Young leatherback turtles stay in warm tropical waters above 26o Celsius till they are around 1 m in length, after which they move to open ocean where temperatures are below 10o celcius. 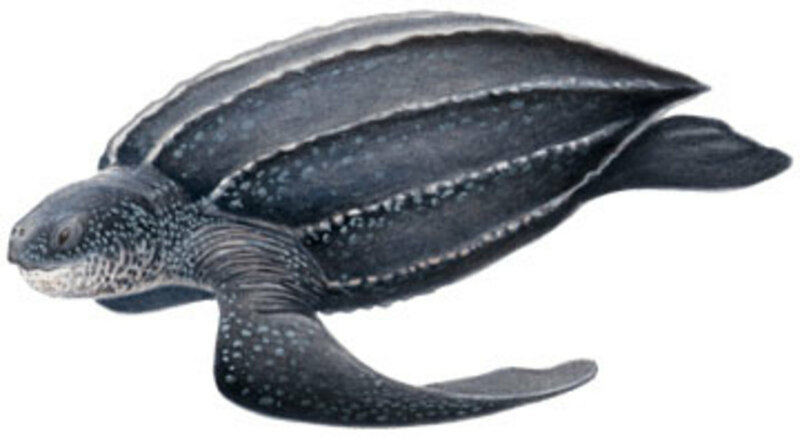 Very few leatherback turtles survive adulthood, an estimate of one in a thousand. Adult leatherback turtles have a few predators like, killer whales, great white sharks and tiger sharks and they have been seen defending themselves from their predators. Recent studies show that 26,000 to 43,000 females nest every year. This is a huge decrease compared to 115,000 females estimated to have nested in the early 1980s. 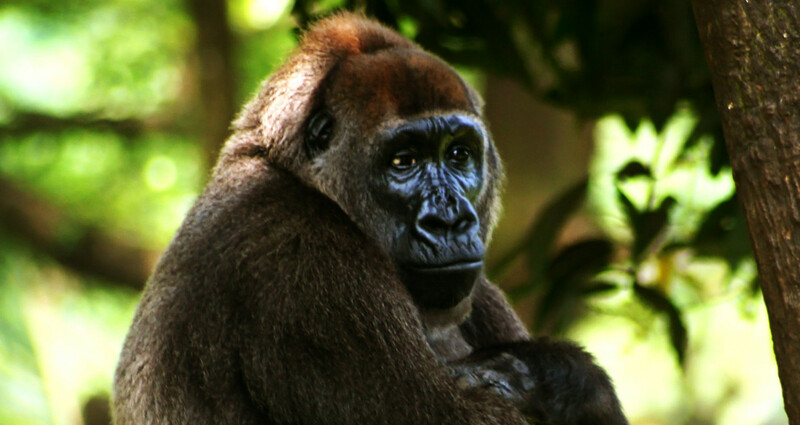 Females are seen to return to the same nesting site from where they hatched, to produce their own young ones. Leatherback turtles prefer nesting sites that face deep water and avoid sites that are close to the coral reef. Very little information is available about the life span of the leatherback turtles. They can live between 45 to 80 years according to reports. 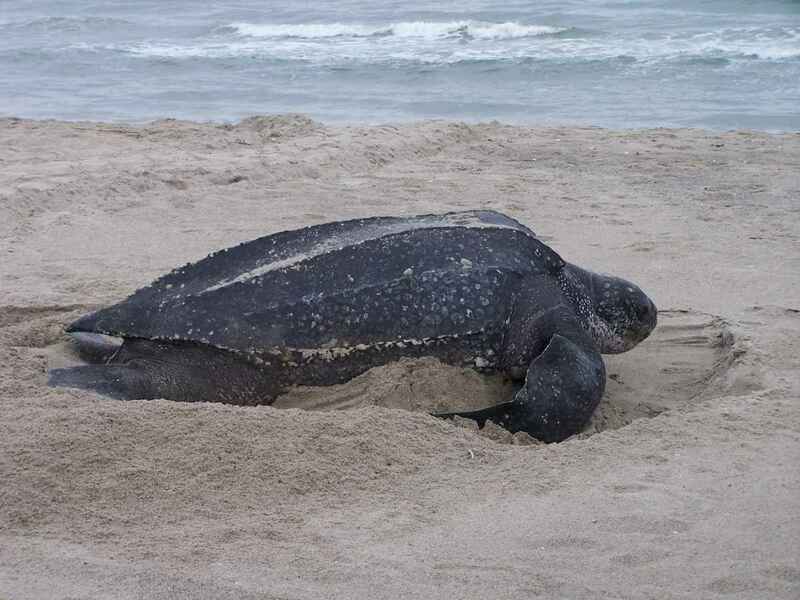 Why are the leatherback turtles important? The leatherback turtles feed on large numbers of jelly fish thereby keeping a check on the population of these organisms and maintaining the marine ecosystem. They are a very important source of income through eco-tourism, especially in the coral triangle area and other coastal areas. Intense egg-collection in nesting beaches is a very serious threat mostly in Southeast Asia where they carry this out legally. This removes tens of thousands of eggs from the nesting areas. This is the reason for the extinction of these turtles in Malaysia. Killing these turtle for their meat and oil and extensive egg-collection has resulted in a large decrease in population of these leatherback turtles in Indonesia. This also happens across the Indian Ocean area. 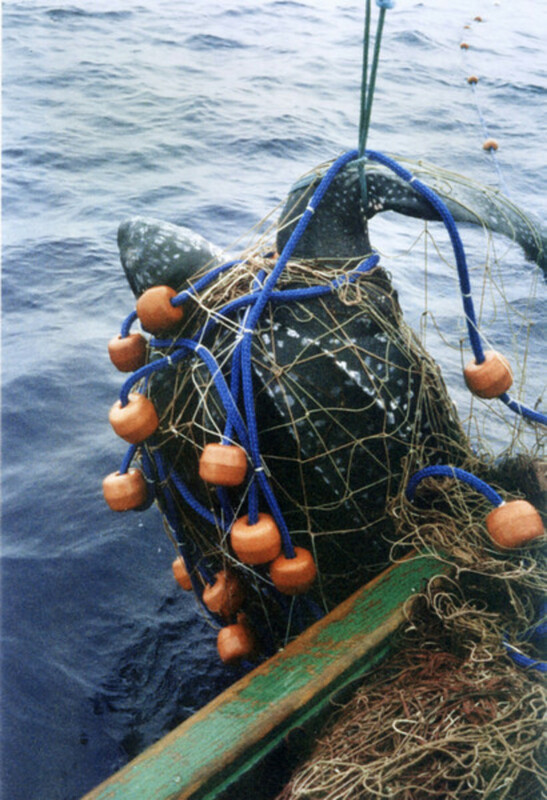 Fishing leads to by-catch where these turtles are caught in shrimp trawl nets, long-line hooks and fishing gillnets. They drown and die before being rescued as they need to reach the surface of the water for breathing. 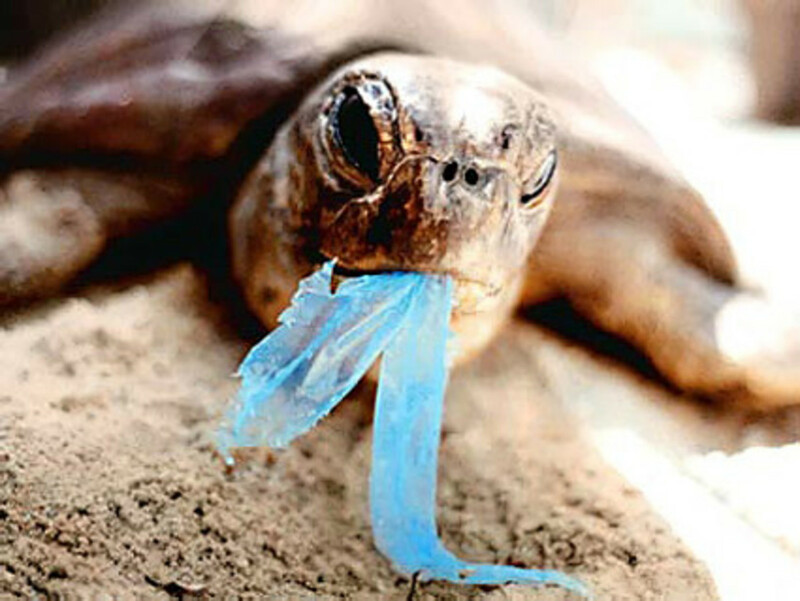 Please read the hub below by Jennifer Madison, which clearly explains the disastrous effects that plastics have on the land and marine life. 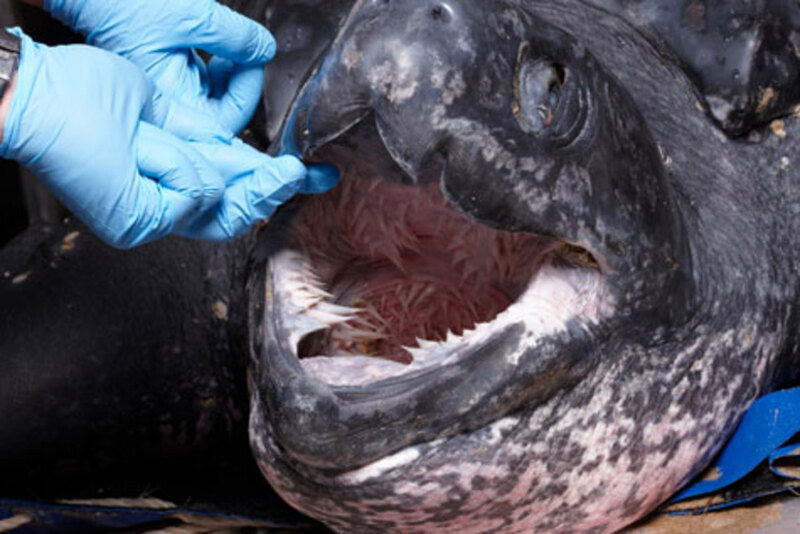 The leatherback turtles sometimes swallow floating plastic bags mistaking that they are jellyfish and this can kill them. Also they eat plastic marine debris and these can block the digestive tracts of the turtles and kill them. These could also dilute the nutrition (plastic displacing useful nutritious food) and increase the maturity time in turtles. The rise in the level of sea, increased human activities on beaches, coastal developments and vehicle traffic in coastal areas have led to loss of nesting habitat for the turtles. Beach erosion can lead to loss of eggs. The coral reefs and sea-grass beds where these turtles feed are damaged and sometimes destroyed due to sedimentation caused by land clearing and other activities. The Government of Mozambique announced in November 2012 about the establishment of another protected area for marine life in Africa. This will be the second largest protected area that will be made up of ten islands covering an area of 4,020 square miles. WWF is working with the local communities in the areas where these turtles live, to reduce use of these turtles and their eggs. This helps them gain awareness of the threats and the importance in protecting the leatherback turtles. With the help of WWF, local rangers are trained to protect the leatherback turtles from poaching. They also patrol the nesting areas. WWF is also working towards establishing new ecotourism businesses which will be a path towards alternate livelihood for the local communities who live by hunting and trading turtles. WWF provides turtle conservationists with required equipment to carry out their work. WWF is working with fisheries to reduce by-catch. This will be accomplished by using turtle friendly hooks and by using TEDs that will help to exclude turtles from the fishing nets. 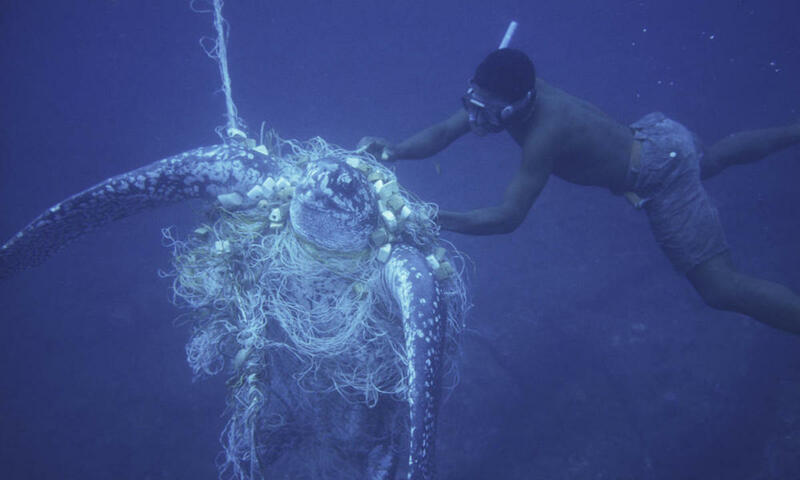 WWF also educates fishermen and works with them to save the turtles that get caught in their fishing equipment. WWF uses satellite devices (Satellite telemetry) to track the movement of the turtles and to monitor and prevent their interactions with fisheries. In this method, satellite tags (do not harm the turtles) are placed on turtles that help to track the movement of the turtles and thus helps researchers with study on their migration patterns, feeding areas, nesting areas and contacts with fishing equipment.This will also aid with reducing bycatch. MPAs are being established by the WWF to create safe habitat, migration and nesting areas for the turtles. The National Oceanic and Atmospheric Administration has assigned 41,914 square miles of area along the Pacific region of California, Oregon and Washington as critical habitat for the turtles. 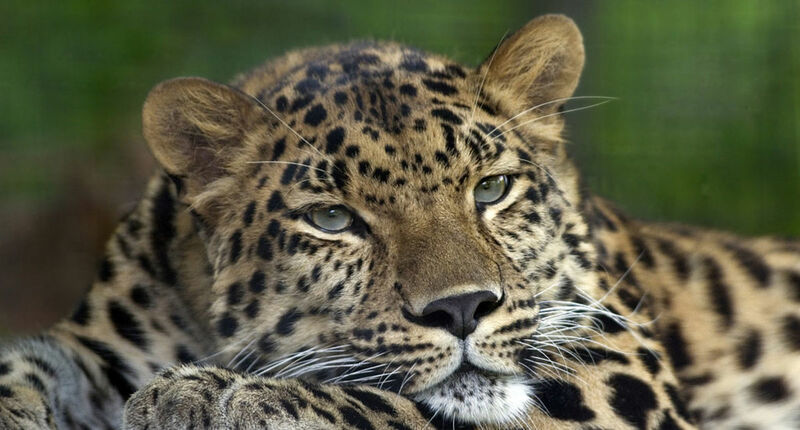 Canada has passed the Species at risk Act to stop illegal acts on these species. CITES has also forbidden trading of sea turtles and turtle products. The Irish Sea Leatherback Turtle Project works on tagging and satellite monitoring of these turtles and researches on them. Other conservationists like Earth-watch institute, Nature seekers, etc., work towards protecting the nesting sites in Matura Beach, Trinidad. 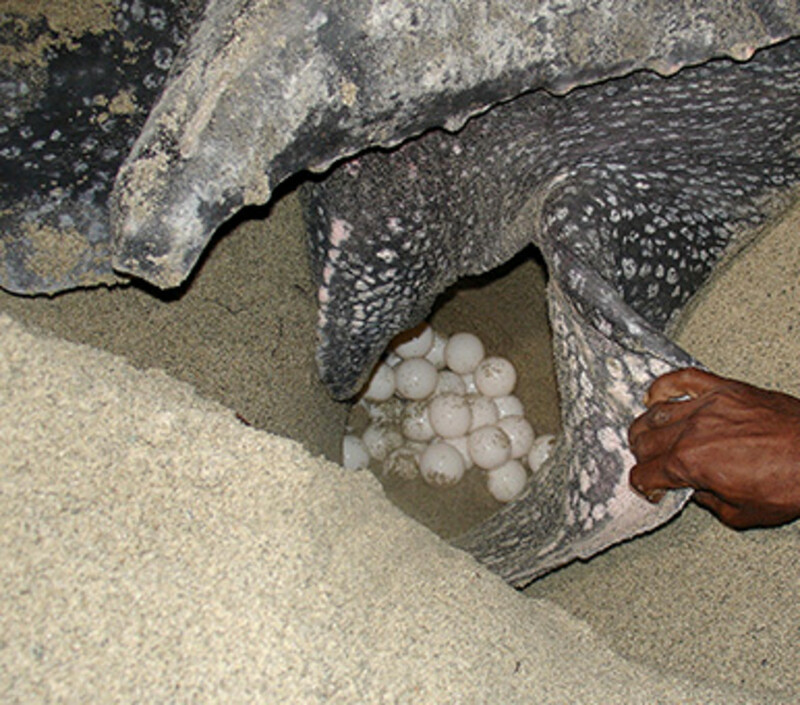 Conservation programs are in action in Caribbean countries and South Africa to protect the nesting beaches in that area which has helped increase the nesting population by a large number. 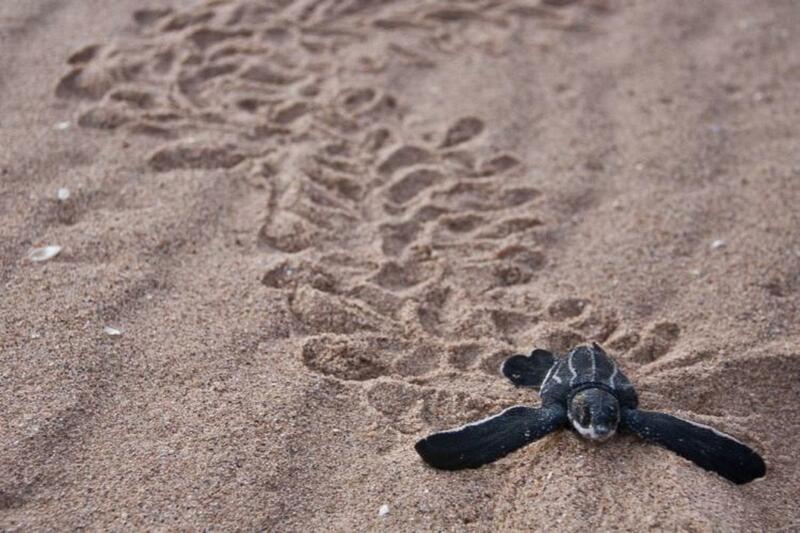 Conservation efforts to protect the turtles and their nests are being carried out in Brazil. Leatherback turtles are found to nest in the French Guiana coasts all year round. The population in the Pacific Ocean are the most endangered and are near extinction. They are the only species that survive in the genus Dermochelys and the only existing member of the family Dermochelyidae. The leatherback turtles are the fastest moving reptiles and move at the speed of 0.5 to 2.8 m/s. They can dive up to a depth of 1,280 metres. The dives can be from 30 to 35 minutes long and time between dives can be between three to eight minutes. 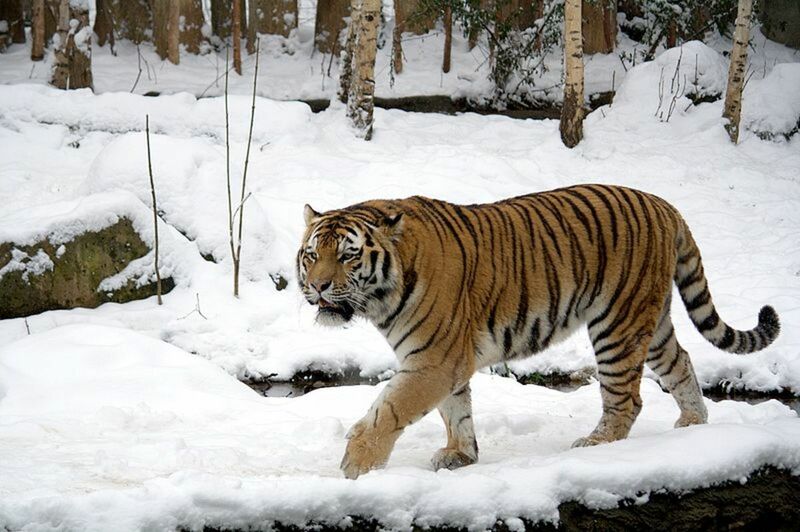 They can keep their body temperature up to 18 degree Celsius higher than the water temperature. They have a wide range of distribution, from as north like Alaska and Norway to as far as the south to the Cape of Good Hope in Africa and southernmost part of New Zealand. What can be done to protect and conserve the leatherback turtles? Please do not buy products made from parts of sea turtles. You can raise awareness by doing a presentation in a school or in other public gatherings. You can adopt a turtle. You can help by not throwing plastic waste near or into the ocean and by picking up any that you see. Spread the word to family, friends, relatives and others. Hi Careermommy, thank you. 7 feet is a huge size right? I was in awe too. I think I should post a picture that shows the size comparison! wow livingsta, this is a great hub. It looks like you've got a great series going. You're really a good writer and should consider a book. This is an interesting turtle. I can't believe it can get up to 7 feet! Wow! Hi FlourishAnyway, thank you so much. So true, these plastic bags are a great threat to many living things on this planet. I can imagine what you say and appreciate your concerns. Have a wonderful weekend. Beautiful and informative hub, very well researched. I see this is another reason to avoid plastic bags. Every time I go to the beach or for hikes in the woods I something to pick up others' junk. Hi kidscrafts, thank you for reading and your support. I am glad that you found this interesting. Have a good day! Very interesting hub as your other one about the Hawksbill turtle! It's about time that we take better care of our environment otherwise we will lose all those precious species and we will have missing links in the chain! Very interesting hub Livingsta! Thank you for sharing! More valuable information and I'm very happy to see you writing about these creatures. Well done, Dahlia! Keep up this important work.